NC State Dining wants to know what we are doing well and what we can do better within our operations. Our annual customer satisfaction survey launched Sunday, September 23, 2018, with weekly surveys highlighting the different areas within our dining program. Students, faculty, staff and business partners are encouraged to complete surveys for the locations they frequent most. Each completed entry will enter them to win one of our weekly $100 prizes and the $500 grand prize. Surveys can be accessed at the links below during their scheduled dates. NC State Dining is a service of Campus Enterprises, the lead division for retail and hospitality on campus. 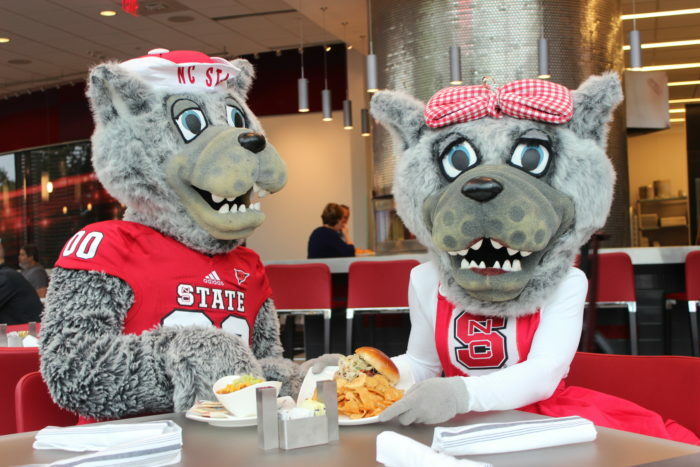 For more information on NC State Dining’s annual survey, contact Lindsay Hester at lphester@ncsu.edu.